Hey dudes! Don't got any new art to post sadly... But I got a good amount on the way that I'll be able to show. Just waiting for it to get published. Other than that I'm workin a ton this month and got some pretty tight deadlines. So aside from the LiveStreams I don't know what I'll be able to put out. That being said, I plan on taking the LiveStream sessions to the next level! Starting within the next couple days I'll be doing hour long morning anatomy studies on LiveStream! Together we'll all take on Loomis and as we progress through the streams we'll move onto painting from life, perspective studies and all sorts of good stuff. They will most likely be at 9-9:30 am EST and run til 10-10:30 am EST. Hopefully I can get a good amount of you to really get into studying everyday so we can all move forward! If you want to join, and be serious about it... You can drop me an email - rapozaster@gmail.com and I'll add you to my mailing list! Let you know the times and hopefully in the future move onto assignments we can all complete. Anyways, I really look forward to getting this all started! 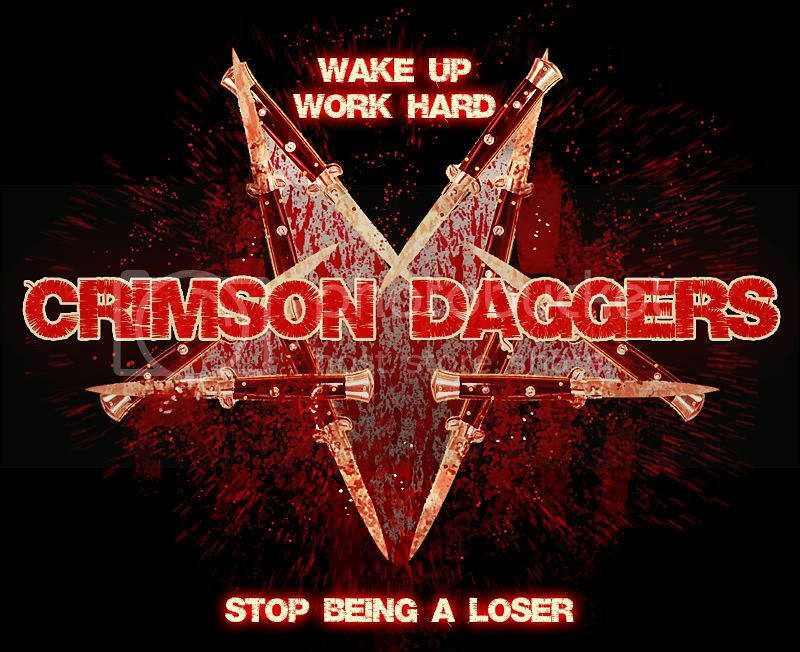 I just made the Crimson Daggers logo my new desktop wallpaper, may it be a constant reminder to work hard..
well back to my Loomis studies!